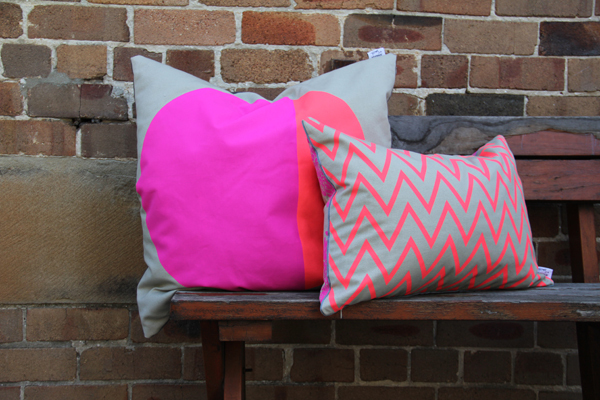 FK chats to the team behind the bright & creative Sydney based homewares label Jennifer + Smith! 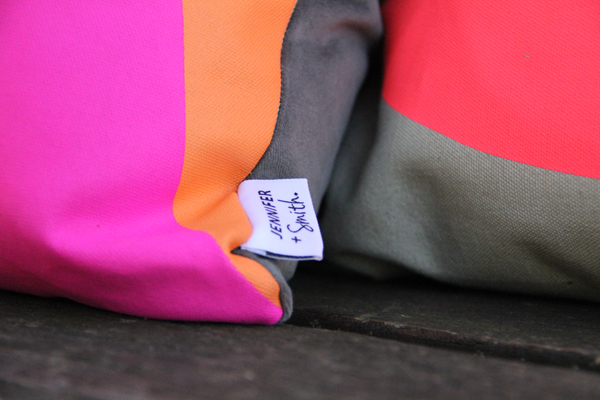 Tell us a bit about Jennifer + Smith and what products we can expect to discover? 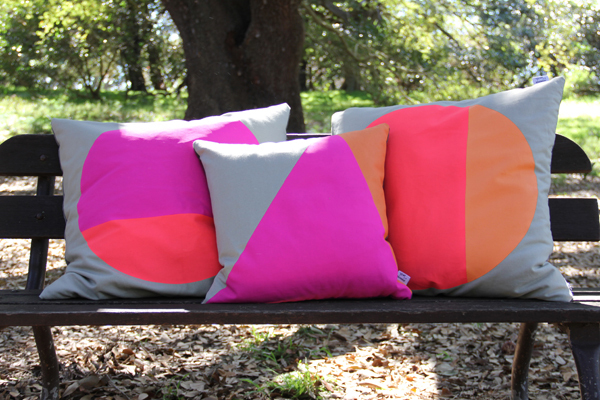 At Jennifer + Smith we focus on fun, bright functional design pieces for the home – for our first range we created a selection of indoor cushions, all hand screen printed and manufactured from materials made here in Sydney. We have pretty diverse backgrounds ranging from landscape architecture to finanace, we became friends a couple of years ago and the business partnership sort of just happened circumstantially in early 2012. 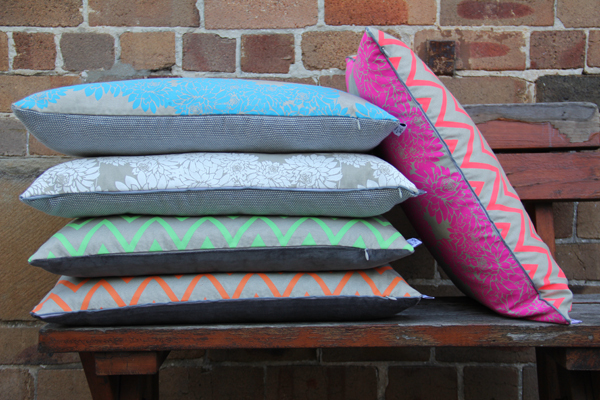 What do you love about working with homewares? and what keeps you creatively motivated? 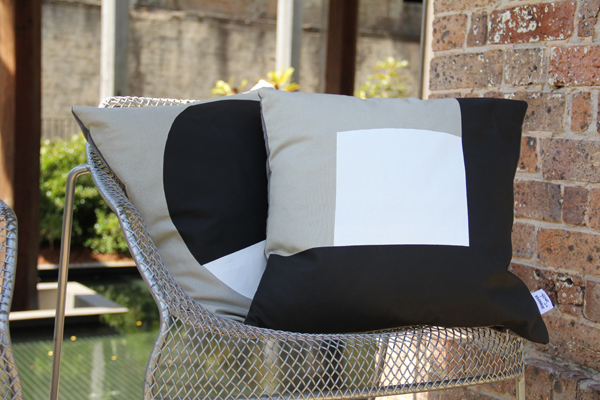 Homewares are great, the possibilities are limitless. There are so many different mediums, materials and directions to move across. Creatively, we are able to bounce off each other which is good, our ideas and methods are always evolving as we exchange ideas. What do you love about living in Sydney? We are both from New Zealand originally so apart from the 40 degree days recently we love the weather and beaches! Also all the amazing creative people and spaces in Sydney is exciting. We have met so many supportive and inspiring people already through the J + S adventure. Lack of time is definately a challenge we have faced on a weekly basis, we have so many ideas and plans but not enough hours in the day… still all the challenges we have faced have ultimately been learning curves so we can’t really complain. What new plans do you have for Jennifer + Smith this year? The end of 2012 was so positive for us, we had lots of great opportunities. We are so excited to be going into 2013 working with some great people. 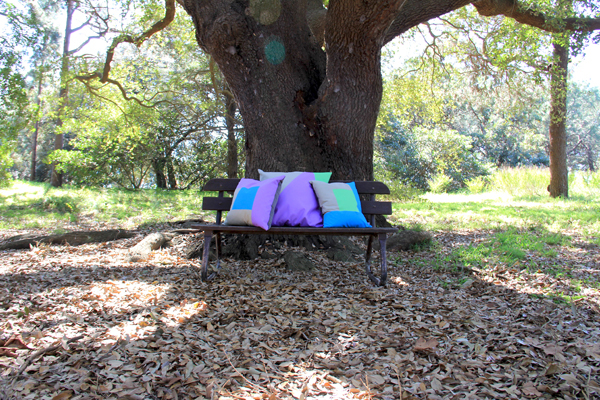 This year we will be concentrating on the growth of our product range, adding exciting new designs to our existing range and new homewares. 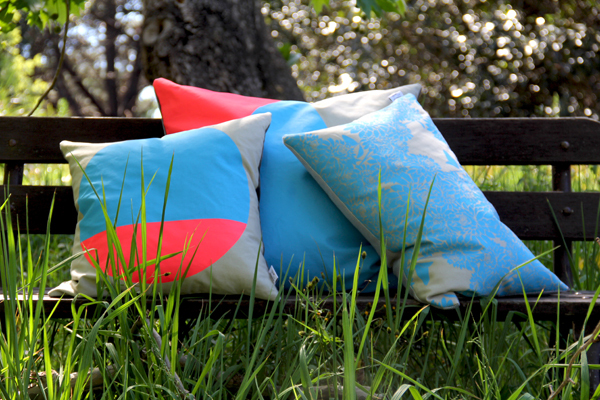 Love their pillows! So fun & playful!